I look at my life in seasons and chapters. I was blessed by growing up in a nurturing, close, extended family, full of amazing personalities, strong and beautiful women and all kinds of characters. We were always able to laugh at ourselves, keeping a sense of humor and perspective through both good times and hardships. I was secure in the midst of a strong mother, aunts who were as close to me as second mothers, uncles and cousins – all with wonderful stories of their own to tell – and all the natural beauty of Colorado. It was in junior high – a very difficult time of life for most girls – that I discovered I could sing. Not only did I discover that I had a voice, but the discovery of how it made me feel to sing was even more significant. Even then, like now, I thought of my own voice not just as sound, but as something deeper that was uniquely mine. A few years ago I came to a crossroads in my music – my livelihood. I had a great relationship with my then record label – a label that had given me total artistic freedom to explore and express my music, the freedom to reveal through my music who I was as a woman, as a spirit, as an artist. A subsequent merger with another record label threatened to change the idealized situation I had with the jazz label. My current release, Art and Survival, was not being promoted by the head of the new label who did not like the album nor understand my art. This album contained many songs that not only expressed me artistically, but changed my life in the process of recording them. Ironically, one song in particular Endangered Species, which I wrote with a good friend, seemed to sum up the situation with which I was now faced – recording for a record executive that not only did not understand jazz, but had no affinity for my personal artistic style of jazz. “Jazz is just three musicians on stage, nothing more,” was his opinion, with no view to changing it. I knew I was facing a moment of truth here – at a crossroads in my career. Would I take a stand, dare to be who I am, or would I comply with the mandates of the powerful record executive who wanted me to knuckle under and record music that fit his somewhat narrow definition of what I should sound like to be able to sell records for his label? His office was clearly designed to intimidate. I remember a huge, high desk that made him appear above it all, like a judge or an inquisitor. The chairs facing his desk were small and scrunched together, designed to make the visitor feel small and unimportant, lucky to be granted an audience at all. I listened to him explain to me how I would have to adjust my musical vision to be considered an asset to his label and worthy of promotion, and to receive the monetary rewards I would be able to reap by doing it his way and only his way. There seemed no room for negotiation. It felt like I was having a conversation with the devil; he was dangling a carrot in front of me, waiting for me to sell my soul. With that one sentence, I had immediate clarity. 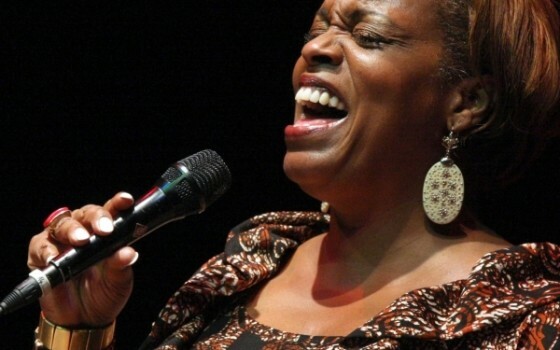 R ecognized as one of the pre-eminent voices in the world of jazz,Dianne Reeves has won several GRAMMYS for Best Jazz Vocal Performance. Dianne has the distinction of having been awarded the most consecutive awards in GRAMMY history. Dianne has also been the Creative Director of Jazz for the Los Angeles Philharmonic. She has been in charge of their jazz programs at the Hollywood Bowl and the amazing new performance venue Disney Hall in downtown Los Angeles. 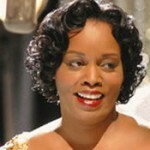 In addition, Dianne has been acclaimed for her featured performance in George Clooney’s film, Good Night and Good Luck. DTBF at the White House!